rocky's bru: Hurting them big cooking oil smugglers, at last! Hurting them big cooking oil smugglers, at last! 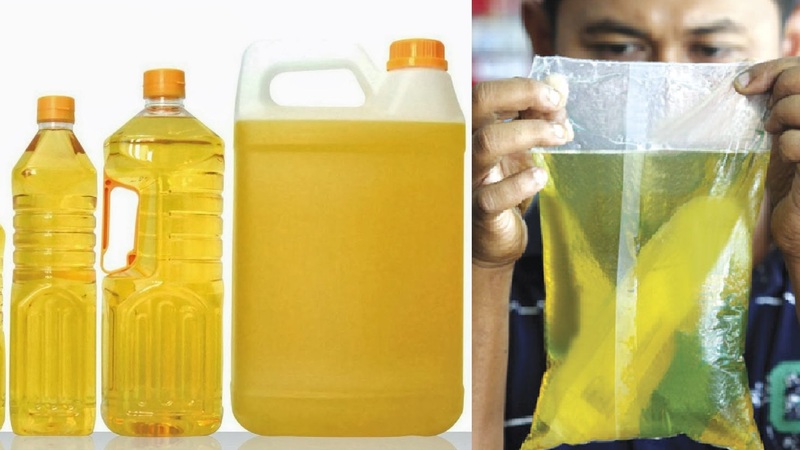 No increase in price for 1kg cooking oil! Currently 85,000 metric tonnes of controlled cooking oil is subsidized by the government whereas domestic national consumption is only 40,000 metric tonnes, the excess 45,000 metric tonnes are illegally smuggled out of the country. This means the excess subsidized cooking oil costs the government a whopping RM540 million annually which is not benefitting local consumers at all. Because Avran is a seasoned crime-watcher [see MARAH, the closed FB group he started to fight crime only], I couldn't help wondering if the "Big Boys" in the cooking oil industry, who stand to lose the most from the Government's move to take away the subsidy for 5kg cooking oil, had any information on the "illegal smuggling". It's a huge crime (worth more than half a billion ringgit a year) ... surely some of these big players would be aware of the massive leakage! That's the heart of the matter, they will use whatever excuse to hike up the price. And now, they have legible excuse. It was a gravely flawed mechanism to me. But on the same note I would like to see really serious effort on curbing the smuggling issues. This has been going on for years, and some are done blatantly before our naked eyes. Wah!!! 540 million annually siphoned out and you people are upset? Thats good,shows concern- what are your feelings about yhe bilions MO1 dah sapu? Happy? Who does WHO think it is? NOT a Budget for "monkeys"